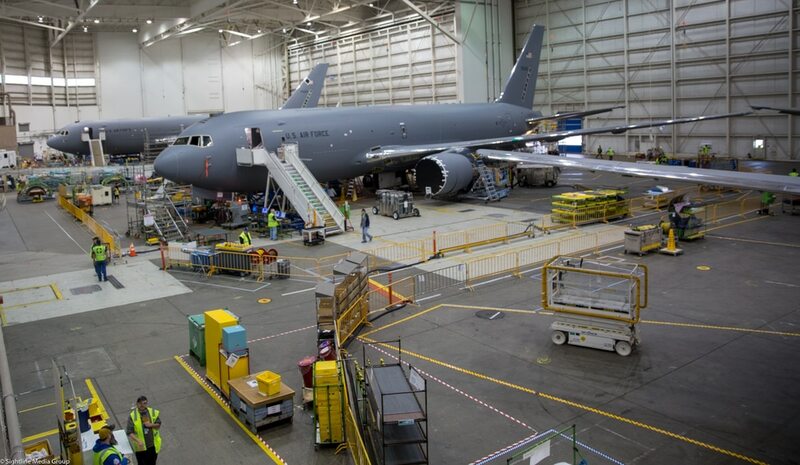 WASHINGTON — Boeing on Monday bagged a $2.9 billion contact for the fourth lot of KC-46 tankers, raising the total to 52 aircraft on order. The award, announced Sept. 10, covers the production of 18 KC-46s and other associated gear like spare engines and parts, support equipment and wing air refueling pod kits. Monday’s announcement follows a contract in December for the first foreign KC-46 order: a single tanker for Japan. The first two U.S. Air Force buys were finalized in August 2016 for a total of 19 aircraft, and a third order for another 15 KC-46s was added in January 2017. The service plans on buying 179 KC-46s over the course of the program. Technical problems have kept Boeing from delivering the first KC-46, and the company has already missed an initial August 2017 deadline to deliver 18 fully-certified tankers to the service. However, it appears the company is getting ever closer to that milestone. US Air Force completes tests of troubled KC-46 vision system, but is it fixed? There is some evidence that Boeing has improved the KC-46's remote vision system's performance, but the Air Force isn't ready to hail it a success just yet. Earlier this year, Boeing and the Air Force came to an agreement on the schedule for the first KC-46 delivery, currently slated for October. Last week, Boeing disclosed that the KC-46 had received a supplemental type certificate from the Federal Aviation Administration — a series of tests that validate the aircraft’s refueling and avionics systems meet FAA requirements and a prerequisite for aircraft delivery. Gibbons called the event “one of the last major hurdles in advance of first delivery to the U.S. Air Force” in a Sept. 4 statement. However, the KC-46 still needs to achieve a military type certificate from the Air Force, which validates its military-specific systems. Boeing concluded its testing in July and the certificate is expected to be granted “in the coming months,’ the company said in a statement.